As one of the worldwide leading suppliers of the automotive industry, ZF Friedrichshafen AG is committed to motorsports. The ZF Race Engineering subsidiary develops, produces, and distributes ZF core products in the field of driveline and chassis technology particularly for race car applications. From amateur race series to Formula 2 and GT3, renowned motorsports teams rely on innovative technology and first-class service by ZF. Spectacular sports successes document the technical competence and reliability of ZF products. For years BSA Corse has been the official partner of ZF Race Engineering. Especially in single-seater and GT3 race series BSA Corse provides top teams with ZF Modular Racing Clutch Systems (RCS). 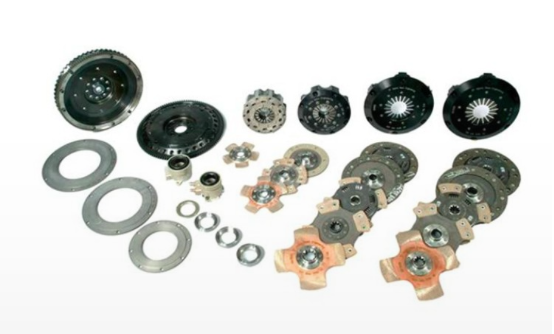 Besides supplying parts and components BSA Corse’s technicians perform revisions and rebuilds on ZF clutches. BSA Corse is in constant contact with ZF Race Engineering. Every year we visit the ZF factory for training and education purposes. Only by doing so BSA Corse can guarantee that every single clutch that leaves our workshop is 100% ready to win races.